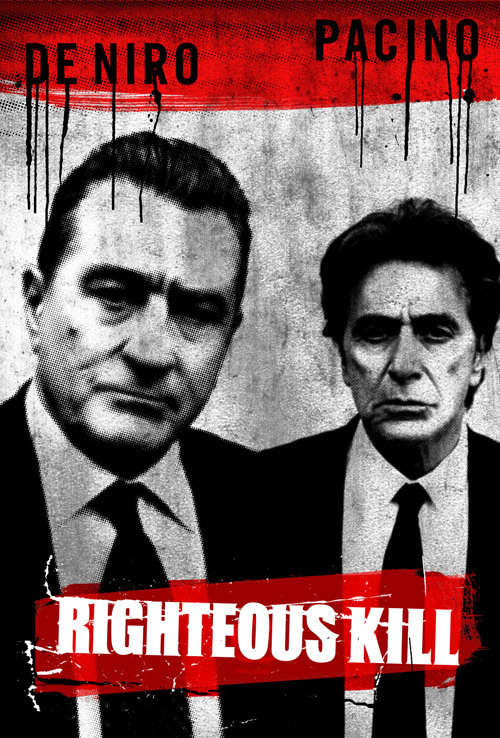 I really like these kind of movies, and have always been a big fan of Robert De Niro and Al Pacino, so my judgment might be a bit biased. The plot is interesting all the way through, but a bit classic NYPD movie, the great part is when you are surprised in the end with a great twist. I must admit that I was quite surprised, but once you think it through it all makes great sense that way. Nicely done! Besides De Niro and Pacino the cast is not the most impressive. It is not bad, just mediocre. All in all a great movie I would recommend! Everyone should think that putting these two actors in the same movie once again would make a good movie. That's not the case. Too bad. The story is kind of predictable and uses all the classic ways of telling the story, with no unexpected twists. Well any way it's worth it's time but not much more. I give 6 og 10, for good production but disapointing result. Bad guys choose your side: Blue or Black!